Are you searching for a Broan Ceiling Fan Part, or Broan Ceiling Exhaust Fan Part? We have a number of reviews of Broan replacement parts on this page. Some of the replacement parts you may be looking for might include a Broan Bathroom Fan Replacement Motor Kit, for example. The time in which you would need a replacement motor for your fan is when the motor is gone or starts to go. Simple indicators of this could be that your fan is no longer turning. Or, when you go to turn the fan on, it makes a buzzing sound. It could also make buzzing noises and start to smoke as well. The reason why the Broan bathroom exhaust fan will start to smoke is because if the motor is damaged or not getting the voltage and cannot turn, it will start to overload the circuitry of the motor. The motor can be damaged further if it is not turning. You can try to hand start the motor, but the best thing to do is turn the fan off and replace with a new motor. The motor kits we carry here are so cheap ($15) that it makes sense to order a new motor for the fan. 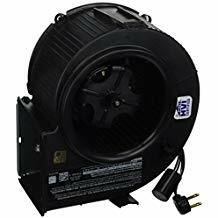 This is very easy to do and very affordable as well, so it makes total sense to order the new motor instead of trying to run the fan and possibly damage it further. If you buy a second thing to go with the motor kit that costs $10 or more, chances are you'll get free shipping on the whole order too. A Broan bathroom fan upgrade kit can be extremely helpful. No rewiring is required, and no new duct work. The upgrade kits we have listed are around $30, so the pricing is also very affordable. The upgrade kit will come with a new motor, which reduces the sound up to 50 percent. Improves air movement up to 20 percent, and helps to further deal with humidity in your bathroom. The upgrade kit comes with a new grille too. No special tools are needed to install the Broan Bathroom Fan Upgrade kit. The kit will have everything you need including tools, fasteners and complete step-by-step installation instructions. Broan bathroom fans are more popular then any other fans that Braun manufacture. As such, regular sought after parts include Broan replacement electric motors. 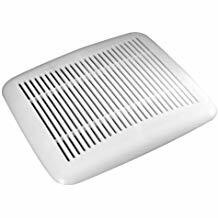 Depending upon what part you need and the problem you're having with a bathroom exhaust fan, you may want to consider replacing the entire exhaust fan that is mounted to the ceiling in your bathroom. 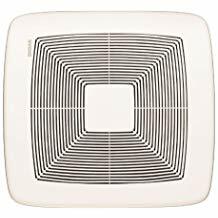 Exhaust fans are generally not expensive. You can get one for $100 or less, however we recommend spending approximately $120-200 on an exhaust fan. Also, another component worth noticing is the warranty on the Broan Bathroom Exhaust Fan when you purchase it.